You’re looking for an edge, a way to stand out and opportunities to tell your story to the people that matter. CDAOI Insurance is built to offer you access to the right people and flexibility to participate in a way that meets your specific goals. Our events attract 100+ senior business and technology leaders making difficult decisions on how to lead their companies through a period of enormous disruption. They come to compare notes with their colleagues and understand the technologies that can help them realize the extraordinary potential offered by data, analytics, and real-time customer insight tools. What will you get out of sponsoring CDAOI Insurance? Customize your engagement with a highly dynamic conference format including keynote addresses, panel sessions, intimate discussion groups and much more. 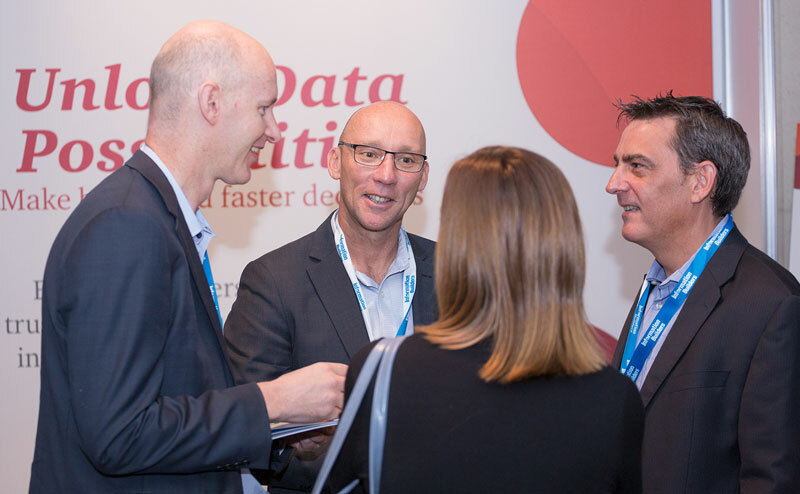 Build a targeted campaign with access to cross-industry analytics decision makers as well as our industry focus days. Find success with hours of networking and vast opportunities for 1-2-1 meetings. ''Never have we had a partner perform to 180% of their target. Excellent job Corinium. The quantity of leads and new business generated from the IBM Outthink Tour four tracks (Senior Execs from Marketing, Analytics, HR & Finance) will keep the sales teams happy for a long time!"